The work of the inner man. Jesus lives in me” (Gal. 2:20). That is why the Holy Spirit in us is called “the spirit of sonship.” Through Him, we become sons of God. The same Spirit works in nature as “Giver of Life”, who “waters all creation to generate fruits of new life.” (Antiphon, tone 4), and when He abides in us makes us sons of God in Jesus Christ. Therefore, the life of the inner man is this spirit of sonship who urges us to cry ceaselessly “Abba, Father,” Romans 8:15), i.e. to pray. Without prayer, this spirit of sonship disappears, and the life of the inner man is extinguished. Without prayer, Christ does not work His likeness in us anymore, that likeness that St. John the Evangelist stresses: … “when He is revealed we should be like…” (1 John 3:2). The man who does not communicate with God through prayer is no longer His son because the natural communication between father and son vanishes, and the term sonship loses its meaning. The spirit of sonship works only in and through Christ. He forms in us the spiritual man whose true life is prayer. When, because of lack of prayer, the spiritual man in us dies, we remain only with “our spirit,” that breath of life which Scripture says God gave man at creation: “And the Lord God .. breathed into his nostrils the breath of life; and man became a living being” (Gen. 2:7). St. Paul clearly speaks about these two different spirits: “The Spirit Himself bears witness with our spirit that we are children of God” (Romans 8:16). How many times should we pray? everything that we think or plan or enterprise should be with the approval of and in the presence of God. In monasteries, no movement is done without “a blessing”. And the blessing comes from God through the brother who happens to be present, because everything that we do is for God: “Whether we live or die, we are the Lord’s” (Rom. 14:8). And the same St. Paul says that “For none of us lives to himself, and no one dies to himself’ (Romans 14:7). But we belong to the Lord. So it is impossible for man not to live in prayer, exactly as it is impossible for man to hide from the presence of God. unless we close the eyes of our minds seeking to convince ourselves that God does not exist. There is a saying in the practical wisdom of the Holy Fathers: “A man who prays only when he prays, doesn’t pray at all.” That means that prayer is not connected only to the hours of the day or to the quantity of words or numbers of Psalms we read. Prayer is our attitude toward God, our state of spirit, the feeling of His presence in us and with us. Surely, in the seven offices of the Church, which the monks conduct at certain hours of the day and night, many Psalms, canons, stichera and tropars are read: however, that prayer is the prayer of the whole Church as the mystical body of Christ. When the monks go to church at these hours, they do not pray only for themselves. but rather for the universal Church. The services and vigils of the night prescribed in the Church calendar and which succeed according to the rhythm of the hours of the day and night, constitute the heartbeat of the Church. Through them breathes the Holy Spirit which is the life of the Church – the life of the Mystical Body of Christ, whose head is Jesus Christ and of which we are the members. Without these monastic prayers, the Church would be dead because Christians in the world occupied with worldly matters go to church only once a week. Nobody can pray except in the Holy Spirit who is in us and makes us cry “Abba, Father”. No one can address God as Father but in Jesus Christ, and together with Jesus, during prayer, we mortals participate in the life of the Holy Trinity in the eternal dialogue between the Father and the Son: “This is my Beloved Son,” to which the Son answers, “Abba, Father!” So, the essence of prayer is that living in Jesus Christ, we are able to call God our Father. Liturgy, Baptism, Weddings, Holy Unction and all that the Church has established for its sacramental life within the community of the faithful. Prayer may take a verbal form, that is, expressed through words or aloud, or it can be inner prayer when the soul speaks to God in silence. Inner prayer has as its foundation the words of our Lord Jesus Christ: “But you, when you pray go into your room, and when you pray shut your door, pray to your Father who is in the secret place…” (Matt 6:6). The meaning of the room and of the closed door is that man is a duality: the outer man who is seen bodily and the inner man who is unseen and spiritual. St. Peter says: “…rather let it be the hidden person of the heart, with the incorruptible beauty of a gentle and quiet spirit, which is very precious in the sight of God” (1 Pet. 3:4). And St. Apostle Paul clarifies the duality of human nature, saying: “For we know that if our earthly house, this tent, is destroyed we have a building from God, a house not made with hands, eternal in the heavens” (2 Cor. 5:1). Not only the prayer itself, but even the teaching of prayer is a duality: outer and inner teaching. The external teaching consists of worldly wisdom: flowery speech; sharp mind used to select the most beautiful things of this world; a conscience which likes to be inquisitive, wishing to find many, many things…, whole the inner teaching consists of the knowledge of God, looking with the mind’s eye at things which are invisible, having the fiery spirit of prayer, humility, attentiveness, obedience, and watchfulness. Regarding prayer, however, the external or public prayer is not to be despised; it is done openly in assemblies following certain rules according to the Church typicon, and it is done in the name of the whole community, involving the whole Church. 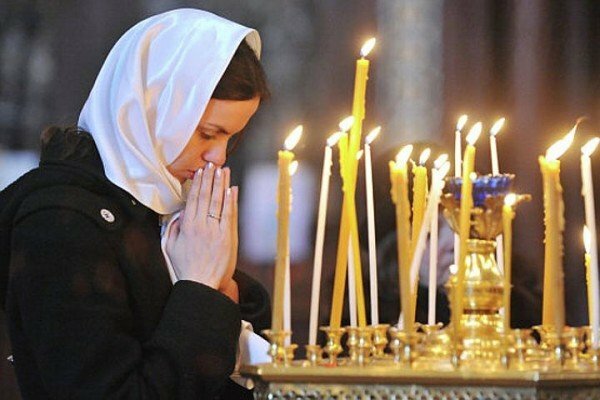 This does not mean that the man who prays in public does not have an inner life or he is not a spiritual man, because even individual meditation must be done in the context of the Church; we cannot be separated from the Mystical Body of the Lord. Public prayer is the prayer of the Church in which the faithful are obligated to recite a number of Psalms, tropars and canons. grouped in a specific manner for the glory of the Lord or of the saints. There is a fixed time when these prayers must be done; in the morning, in the evening. at midnight or at certain hours of the day. David says: “Seven times a day I praise You, because of Your righteous judgments” ~s. 119:164). During this prayer, we stand or kneel, we sing or recite in choir. Private prayer is not obligatory. It is, however, recommended that every Christian with the fear of God should pray at least three times a day: in the morning, in the evening and before and after meals. But as St. Paul says, a Christian can pray without ceasing, whether he works or walks, drinks or eats. or even when he rests in bed. Anywhere and at any time our minds can rise toward God in the inner room which is our heart, or our secret thoughts; because anywhere a man is there is his heart also. And man can lock his mind in his heart, that is, he can gather his thoughts in such a way as to be able to talk to God in secret. Even when he talks with people, a Christian can have this inner activity which some of the fathers call “Interior Liturgy”. Man’s material chamber – the body – encloses only one being; the spiritual chamber makes room for God and for the whole Kingdom of God, as the Lord Jesus Christ Himself says: ‘. . the Kingdom of God is within you (Luke 17:21). The more man gathers his mind and thoughts in God, the more he reaches the age of the mature man. Nothing is more insufferable to the devil than purity of heart and the practice of the Jesus Prayer: “O, Lord Jesus Christ, Son of God, have mercy on me a sinner’.” Some of the ancient holy fathers recommend a specific method and a number of repetitions of this holy prayer; however, many of the holy monks of our century – through their experience – say that we only need attention and struggle until the heart is accustomed to the prayer, and not necessarily a method. Regarding the prayer made with the mind in the heart, all the holy fathers agree that it is the most useful and most consuming prayer. But because it is short, it must be repeated unceasingly. Lengthy prayer is also useful, but only for those who have reached perfection, and not for beginners. A short prayer is better when it comes from the heart. If a man’s mind is not trained in prayer, it strays in external things, and when a man’s thoughts wander and he can no longer stay in the presence of God, and when he no longer feels the warmth of the Spirit, there is no longer a prayer. “Whoever expresses excess words in prayer does not pray at all but speaks in vain” (14omily 24). And when St. Paul says: “?ray without ceasing”, he means that everything that we do must be done with pure thought, and in all our words, thoughts and deeds the name of the Lord Jesus our Savior must be glorified. Prayer has many levels. The first level is the spoken prayer; this kind of prayer is done with much effort. This is the level of a man not experienced in prayer. It consists of reading, standing, making prostrations and many bows, and offering lengthy vigils. This is the prayer of the young monks and that of beginners. They need to persist patiently, and they also need a spiritual father as a guide. The second level is vigilance in prayer. The mind is attentive to the written words and recites them as if they were its own. Therefore. the mind begins to pray without being scattered. The third level is to feel the prayer inside the heart. Through attention. the heart begins to warm, and what was a simple thought becomes feeling. He who has passed from thought to feeling prays without words, because God is in his heart. Only from this point do we know in prayer, from feeling to feeling. And when we reach this point of ceaseless prayer. only then does spiritual prayer begin, for it is a grace of the Holy Spirit. This means that it is the Holy Spirit Who prays in us, causing that prayer to run in u~ like the waters of a still river. regardless of our own preoccupations. This kind of prayer is often done with theirs which come not from emotions but from above. The holy fathers say that whoever does not have inner prayer does not pray at all. Prostrations and bows arid the words read in church or at home, if they do not become felt inside the h(.art, are only an appearance of prayer; they are not the prayer itself. It is true that this form of prayer has the capacity to turn our minds toward God, but God commanded us to enter into our room and to close the door and to pray in secret; and this secret room is our heart. Unceasing prayer is possible only with this is kind of prayer, the prayer of the heart. There is no greater joy than speaking with our God Who created us, Who keeps us and Who saves us.